Wondering how to reset a check engine light on a RAM 1500? It’s really very simple! These easy steps should be enough to reset the computer. If you have an older model, it may also be necessary to drive the truck for up to 50 miles to re-calibrate the computer. Keep in mind that when the battery has been disconnected, it’s very likely that the security system or other electronic systems inside the vehicle will also reset. As you can see, it is relatively easy to reset the check engine light on a RAM 1500, but it’s very important that you first determine what caused the light to come on in the first place. 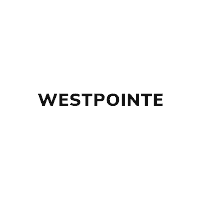 Westpointe Chrysler Jeep Dodge has the details. Reasons for the check engine light to come on can range from minor issues like not having the gas cap secured tightly to more serious problems such as having a faulty solenoid. At any rate, when you see that the check engine light has been activated, the first thing you need to do is to determine what’s going on. Make Sure it’s the Check Engine Light: It seems obvious, but with the various warning lights built into new vehicles, it can be easy to mistake the Service Required light, for example, for the Check Engine light. Your Chrysler, Dodge, Jeep, Ram owner’s manual should have a guide that identifies each warning light. Check the Codes: There are a variety of error codes generated by the computer that pinpoint exactly what is causing the engine light to appear. These error codes can be retrieved by using an automotive diagnostic scanner. Many of these can also clear the code and turn off the warning light. If you feel confident performing DIY vehicle maintenance, you can purchase a code reader to take care of the problem yourself. However, if you are not comfortable with working on your car, the knowledgeable technicians at Westpointe Chrysler Jeep Dodge would be glad to help you figure out the issue. Check Your Gas Cap: This is the most common reason a check engine light comes on, and it’s the easiest to fix. Access the gas cap, remove it and carefully replace it, making sure that is is seated correctly. Then disconnect the battery, as described above, reconnect it, and the check engine light should turn off. New vehicles feature many different computer systems and it can be difficult for the backyard mechanic to diagnose and fix certain issues. If you run into any problems, from your check engine light coming on to your tire pressure monitor, you can trust the professionals at Westpointe Chrysler Jeep Dodge to get the job done right. We make it easy to schedule an appointment online from the comfort of your home. We also make it affordable with our current service specials and parts specials. Feel free to contact us if you have any questions. In an emergency, a little preparedness goes a long way towards making sure that everyone stays safe and sound. The task of being ready for anything might at first seem to be a daunting one. However, putting together a car emergency kit is a relatively simple process that shouldn’t take longer than a single afternoon….